Antonio Tajani said Mr Zuckerberg would meet leaders of political groupings and the chairman of the parliament's civil liberties committee in Brussels "as soon as possible" and maybe as early as next week. The world's largest social network has come under scrutiny over the way it handles personal data after revelations that British consultancy Cambridge Analytica improperly accessed the Facebook data of 87 million users. 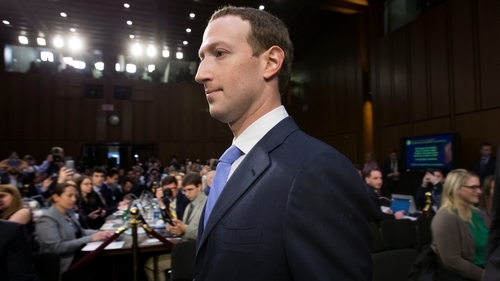 The billionaire social media tycoon has resisted repeated requests from the UK Parliament to answer MPs' questions in person. That is despite a warning from the chairman of the Commons Culture Committee Damian Collins that he could issue a summons requiring Mr Zuckerberg's attendance next time he is in the UK. A Facebook spokesman said: "We have accepted the Council of Presidents' proposal to meet with leaders of the European Parliament and appreciate the opportunity for dialogue, to listen to their views and show the steps we are taking to better protect people's privacy."